Anthony Mann’s career trajectory formed a steady upward arc, with a precipitous descent only in the last few years of his life. From California, Mann’s parents relocated to New York during the First World War and, after the death of his father in 1923, Mann began an acting career centered on the Triangle Theater in Greenwich Village. He appeared in such plays as The Dybbuk and The Little Clay Cart in the 1925-6 season. But he also began to get involved behind the scenes as a production manager, eventually ending up at the famous Theater Guild. He moved into directing and enjoyed enough success as the director of such productions as Thunder on the Left (1933) and So Proudly We Hail (1936) to attract the attention of David O. Selznick, who hired Mann as a casting director and talent scout. In this capacity he directed screen tests for such projects as Gone with the Wind (Victor Fleming, 1939) and Rebecca (Alfred Hitchcock, 1940). In 1939, Mann left Selznick and landed at Paramount, where he managed to secure his first directing credit within 3 years. Prior to Dr. Broadway (1942), Mann had worked as an assistant director to such Paramount contract directors as Preston Sturges (Mann is known to have worked on Sullivan’s Travels , for example). But his stint at Paramount was short-lived, for Mann went on to spend his apprentice years as a B-picture director at Universal, Republic, and RKO. These tyro films usually were lightweight musicals or comedies, but the standout pictures, Strangers in the Night (1944), The Great Flamarion (1945), and Strange Impersonation (1946), were disturbing revenge melodramas that reveal the nascent Mann’s stylistic and thematic preoccupations: characters trapped in a hostile world with no escape but in violence or obsessive madness. 1947 was Mann’s first banner year: Desperate and Railroaded together signaled Mann as a film noir director of note and so for the next three years, Mann directed crime melodramas for the low budget studio Eagle-Lion and its enterprising producers, Bryan Foy, Edward Small and Walter Wanger. 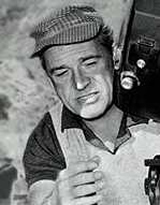 Mann’s most noteworthy collaborator on the Eagle-Lion films was Hungarian-born cinematographer John Alton. T-Men (1947) and Raw Deal (1948) look, in retrospect, like textbook noir. These memorably stylized films attracted the attention of Dore Schary at M-G-M, who brought them to the flagship studio to replicate their success in a higher-budget arena. Border Incident (1949) and Devil’s Doorway (1950) were the two final Alton-Mann collaborations before each went their separate ways at the studio. These two films were also significant in marking Mann’s transition to location-shot Westerns. In 1950, Mann was to make Westerns—Winchester ’73 and The Furies—at two different studios (Universal and Paramount) before settling down to work for half a decade with another notable collaborator, actor James Stewart. Together they made seven more films, most of them popular successes, and most of them Westerns (a noteworthy exception was a biopic of big-band leader Glenn Miller). These films were significant for making the Western a more psychological and overtly violent genre, and Mann brought a noir sensibility to the Western unlike any other director. 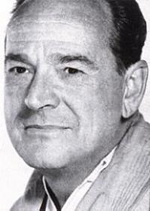 After an intermittent period making an assortment of films, which varied wildly in quality (sublime: Man of the West ; execrable: Serenade ), without Stewart from 1956 to 1960, Mann became a pre-eminent director of the epic film, Hollywood’s answer to the alarming decline in movie audiences seduced by the small screen at home. As early as 1951, Mann was tapped to do big set-pieces and his uncredited work on M-G-M’s Quo Vadis (Mervyn LeRoy, 1951) was a harbinger of the final decade of his career. 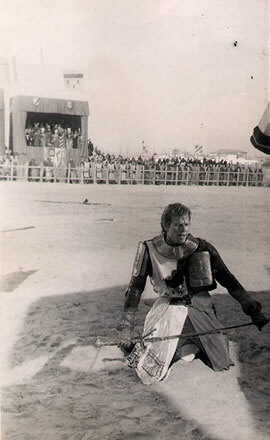 After a bumpy start (removed early from Spartacus [Stanley Kubrick, 1960], after “creative differences” with star-producer Kirk Douglas, and withdrawn from Cimarron  toward the end of the shoot), Mann’s apotheosis as an epic filmmaker was achieved on producer Samuel Bronston’s El Cid (1961) and The Fall of the Roman Empire (1964). The final few years of Mann’s career, however, resulted in a compromised war film and the posthumous release of his final film, a turgid spy drama, completed by the film’s star, Laurence Harvey. In essence, Mann personified Hollywood’s own history from the 1940s to the 1970s, as it uneasily transitioned from the steady supply of product, before 1948 and the end of monopoly control over distribution, made on studio soundstages, to bigger-budget location shoots, to grandiose post-studio multinational epics that frequently got mired in their own excess. But Mann’s critical reputation since his death has blossomed with the rediscovery (or “invention”) of film noir and its ripple effects on other genres in the 1940s and ’50s, most significantly, the Western. The French New Wave critics, especially Jean-Luc Godard, greeted Mann’s work rapturously at a time when Mann had little critical reputation beyond one as a routine “tough guy” director. Mann’s consistently dark vision has only grown in stature as his most characteristic works strike a chord in an era when optimism seems less sustainable than pessimism. Mann’s camera eye conjured some of the most astonishingly original imagery in American film. And the best Mann films contain an abundance of thematic material appealing to critics interested in race, class, and gender politics. Moreover, Mann’s films probe the human psyche’s obsessions and latent desires in startlingly adventurous, and even disturbing, ways. It is not for nothing that Martin Scorsese has singled out Mann as a primary influence on his own cinematic worldview and stylistics. If there is one consistent image in Mann’s work it is the close-up of a man registering pain, more often than not caused by another man in a fight. These shots usually consist of the hero enduring his antagonist’s fingers pushed into his face or his enemy’s hands locked around his throat or the flat of a hand shoved against his chin in an effort to break his neck. This image, then, is the condensed site of Mann’s world of violence for, as Robin Wood has pointed out, violence matters in Mann’s films (in contrast to the comparatively underinflected violence of John Ford’s Westerns). 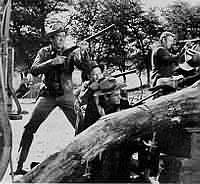 Robert Ryan’s fingers pushed into Jimmy Stewart’s face as they hang from a precipice over a rushing river (The Naked Spur ); Jack Lord’s fingers pushed into Gary Cooper’s face in front of a Conestoga wagon (Man of the West); John Ireland’s fingers pushed into Dennis O’Keefe’s face in Raw Deal: these are the moments of excruciating pain captured in close-up that recur in most of Mann’s fight scenes. But the protagonist himself is also distorted by the pain he’s inflicting. James Stewart’s all-American looks become twisted in Mann’s film in ways that prefigures Hitchcock’s with the actor. The low-angle shot of Stewart shoving his hand into Dan Duryea’s face in Winchester ’73 crystallizes Mann’s world of violence in which the good guy and the bad guy are frequently indistinguishable, because the good guy is just as capable of the uncontrolled infliction of pain on his antagonist. The peculiarly intimate agon/y in Mann’s Westerns and film noirs evoke a response in the viewer that Jeanine Basinger has rightly described at the beginning of her book on Mann. That is to say, the viewer is drawn in as spectator in extraordinarily identificatory ways. The hero’s suffering is viscerally shared by the viewer of Mann’s best films. 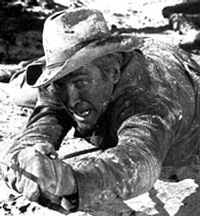 For example, we are invited to share the unendurable pain of Stewart being shot in the hand at close range, filmed in close-up, in The Man from Laramie (1955). And, in Mann’s world, even women are not immune from committing acts of violence against each other. Think, of the fight scene between Sheila Ryan and Jane Randolph’s characters (good girl/bad girl) in Railroaded, which is composed of medium-close-ups of the women shoving their hands in each other’s faces as if they wanted to wipe away the image of each other right off the celluloid (memorably, the bad girl is wearing a cheap feathered kimono that sheds). 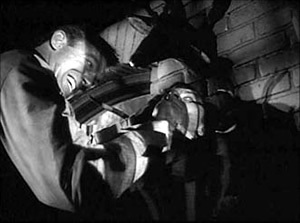 The grimace of pain—such as that on Richard Basehart’s sweating face in He Walked By Night (1948) as he surgically removes a bullet from his own shoulder, or that on Judith Anderson’s wounded face in The Furies after her eye has been struck with a pair of scissors, or that on Brenda Marshall’s disfigured face after a chemical explosion caused by her romantic rival in Strange Impersonation—is the hallmark image of a body of film that always, ultimately, insists on the physicality of human experience and the limits of human endurance when the body is under duress. Certainly, Mann’s Westerns and film noirs portrayed some of the most consistently shocking representations of pain and violence in American film before Sam Peckinpah and Martin Scorsese. And if there is one consistent major character archetype in Mann’s work it is the thwarted patriarch: Walt Radak (Raymond Burr) in Desperate; Lance Pool (Robert Taylor) in Devil’s Doorway; T.C. Jeffords (Walter Huston) in The Furies; Alec Waggoman (Donald Crisp) in The Man from Laramie; Ty-Ty (Robert Ryan) in God’s Little Acre (1958); Dock Tobin (Lee J. Cobb) in Man of the West. These men have tragic limitations of almost Greek proportions as they attempt, and often fail, to exercise control over self, family, and property. The limitations of their character and their power provide a thoroughgoing analysis of the limits of patriarchy as a social and economic structure of kinship and commerce. The Mann patriarch may not die in the end (Jeffords does, but Waggoman lives on to recognize his self-destructive hubris), but the essence of his character is that he spawns conflict within his own family and conflict with other rivals. Those rivals may even be matriarchs (as in The Man from Laramie or The Furies) who have just as much ambition and will to survive as do the patriarchs. Most memorable is T.C. Jeffords’ slayer, Senora Herrera (played as a violent, cursing crone by Blanche Yurka), who defiantly defends her family with a shotgun in a mountain siege that ends only in Jeffords’ dynamiting the matriarchal lair and dispersing them off their land and into the town where Jeffords meets his retributive end. Moreover, it is his daughter Vance (played by Barbara Stanwyck) who has undermined his power as capitalist and landowner, exploiting their quasi-incestuous relationship to her advantage. Waggoman’s tragic status is denoted by his blindness and there are few more poignantly futile duels in the Western than in his failed attempt to get the hero (played by Stewart) in his sights. Waggoman’s blindness is a marker of his impotence since the only fruit of his loins is a brattish psychopath who would destroy his father’s legacy, while his surrogate son is an opportunistic gun-runner indirectly responsible for the death of the hero’s brother. Walt Radak’s obsession with avenging his younger brother’s death is another example of Mann’s idea that family loyalty, when allowed to be twisted within a criminal underworld milieu, sets in motion a chain of events that ensnare the hero (Steve, played by film noir stalwart Steve Brodie) not in any cosmic terms, but in terms that are all too human. 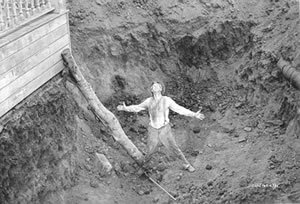 Even in Mann’s most overtly Rabelaisian and comedic work, God’s Little Acre, Ty-Ty’s success at reclaiming his land from his own destructive search for an illusory cache of gold is undercut in the last moments of the film. The discovery of the rusted shovel is presented comically as an invitation to Ty-Ty to have one more go at fulfilling his ludicrous quest. In film after film, then, Mann’s flawed patriarchs underscore the limits of patriarchal power, as other characters in conflict with them (especially their children) resist and even undermine that power. Even the most sympathetic Mann characters, male and female, are trapped in their own persecution complexes. Their psychic traumas are augmented by external forces in the films conspiring them to drive them to the brink, and even over the edge, of dramatic precipices into violence and self-destruction. While these hostile forces may be actual, they are also correlative of a character’s sick predisposition to mistrust others. Consider Nora Goodrich (Brenda Marshall) in Strange Impersonation, whose persistent belief that she will lose her fiancé to her lab assistant, Arline Cole (Hilary Brooke), causes one of the most fevered nightmares in B-picture history, as she dreams of destroying not just one, but two female persecutors. The vicious shakedown artist Jane Karaski (Ruth Ford) provides for displacement and doubling in Nora’s active sexual paranoia and desire for vengeance. For Nora, all women become potential threats to her sense of sexual attractiveness to men, which she represses in her severe self-presentation as a research scientist. On the male side of the equation, Buck Walden’s obsessive jealousy of Griselda’s sultry appeal to other men, including his brother-in-law, sets in motion a violent series of events in God’s Little Acre. Beyond the realm of sexual frustration, and inhabiting the world of political paranoia, Reign of Terror, perhaps the visually darkest of all the Mann-Alton collaborations, relocates the anxieties of the early Cold War years, and the blacklists of the McCarthy era, to a French Revolution in which all are suspect and all are vulnerable to the guillotine after being “listed” in Robespierre’s Black Book. If the essence of classic film noir is paranoia, Mann’s works overtly enact characters’ fear of others—Mann’s world is a world in which no one is trustworthy and everyone is suspicious and harmful. T-Men, for example, is a startling analysis of how American “law and order” enshrines paranoia as a necessary modus operandi in the pursuit of criminals, and The Naked Spur‘s troubled hero, played by James Stewart, is a bounty hunter who almost pathologically suspects everyone else of encroaching on his mission. Every chance encounter that seems, on the surface, to be benign, is an occasion for betrayal. In Desperate, Steve and Anne Randall, on the lam from both the police and Radak’s criminal associates, are betrayed by such figures on the landscape as the used car salesman and the sheriff who picks them up hitch-hiking. Only the pastoral provides any promise of safety in Desperate, and even that is easily invaded by Radak’s gang who bully their way into the farmhouse kitchen. 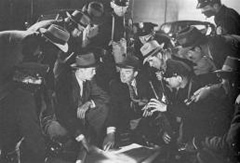 In T-Men, the scene at the Los Angeles Farmer’s Market in which Gennaro is recognized by his wife’s friend, leads to his doom at the hands of the Shanghai Gang of counterfeiters, so that his elaborate effort to infiltrate the gang as an undercover operator for the Treasury Department ends in a plan gone awry and places his cohort, O’Brien, in immediate danger as well. Link Jones (Gary Cooper) in Man of the West has a past history, of criminal violence and thievery as a former member of Dock Tobin’s outlaws, which the character’s efforts to conceal, at the beginning of the film, is constantly threatened by the forces of law and order in Crosscut. Link attempts to evade the probing gazes and questions of the town’s sheriff and others, and his physical entrapment in the railway carriage seats is just one indication that his effort at becoming a law-abiding member of a civilized society is challenged at this stage of the narrative, before he has been forced to destroy his former gang for good. 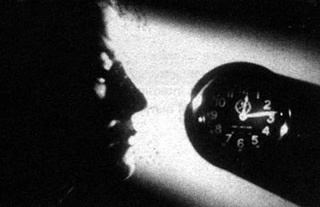 Mann’s films deliberately set out to confine characters in threateningly enclosed spaces (prison cells, cheap hotel rooms, frontier cabins and saloons, train compartments, steam rooms, caves, cars and the backs of lorries) and let them stew in their juices, under pressure from their own fears and consciences, and in full view of the critical spectator, the surrogate for an intrusive, surveillant, and punitive outside world, which offers little escape or little protection. Mann’s stylistics are superb at emphasizing these themes. The kind of immediate visceral response to Mann’s films Basinger describes is most obviously produced by Mann projecting things and characters directly into the camera lens. A few examples: a flaming pan of Crepes Suzette in Raw Deal; a falling body in Border Incident; a broken bottle in Desperate; a double-barrel shotgun in Winchester ’73. The threat to the viewer is seemingly unmediated, and the viewer fully inhabits this assaultive world as much as the characters. To produce a sense of extreme unease in the viewer, Mann masterfully introduced into his shots extreme visual tension, often structuring them on diagonal patterns and making deliberate use of clearly delineated foreground, mid-ground, and background shot with wide-angle lenses and deep focused perspective. Inanimate objects placed in the foreground dominate the frame, suggesting the threatening power of the material or natural world. Figures in the frame are hemmed in by their surroundings, if they are confined within interiors, or are diminished as if they were figures on the theatrical stage, hieratically set against landscape and sky on Western locations. If his narratives are often impelled by allusions to Classical literature, Mann’s visuals, by contrast, call attention to themselves in ways that might be called Baroque (rather than the “classicism” of Hawks or Ford). The stylized compositions and lighting of the noir period are felt in the entirety of Mann’s oeuvre. Even the opening scene of the innocuous Technicolor biopic The Glenn Miller Story (1954) reveals traces of Mann’s characteristic composition: pawn shop of the left of the frame in foreground, background cut partially in half at a 45-degree angle by the Angel’s Flight tramway. These traces of noir iconography and visualization are certainly abundant in the transitional Westerns of the 1949-50 period. There’s the great sequence, for example, in the saloon in Devil’s Doorway in which returning Civil War hero Lance Pool is humiliated by the sinister Verne Coolan (Louis Calhern). Pool’s placement in the highly shadowed frame, shot by Alton from a low angle so that the ceiling dominates and diminishes the hero, reveals that his status is being undermined by the ruthless forces of white imperialism in the push westwards and the consequent dispossession of the Native American. Mann stages Herrera’s lynching in The Furies as if it were a theatrical tableau, the characters statically occupying set positions on a horizontal plane, with Herrera in close-up profile in the foreground, monumental saguaro cactuses and darkening sky intrusively entering the edges of the frame. Border Incident, perhaps the greatest Mann-Alton collaboration in terms of its visual style, stunningly integrates chiaroscuro lighting, detailed focus in depth, extreme camera angles, disorienting patterning within the frame, and discontinuous editing to powerfully evoke a world of hostile and exploitative relationships. This very world is denied by the stridently didactic voiceover and flagwaving images inherent in the pseudo-documentary genre of the 1940s (T-Men, He Walked By Night among others), which Mann consistently subverted and challenged with his disquieting, but compelling, pictures. Here’s a piece on several Mann films discussing his aesthetics and visual style. Kino release of T-Men, Raw Deal, and He Walked by Night on video. Includes short exposition of these films. Synopses of several Mann films. A piece about The Naked Spur.